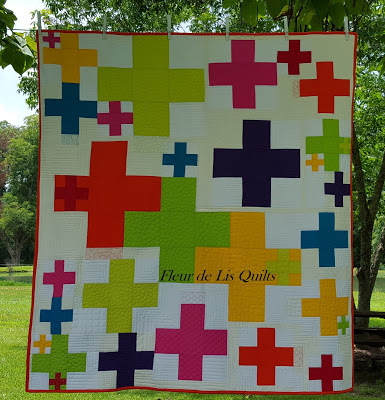 Such bright and fun quilts. Perfect for summer. Enjoy your vacation time. Thanks for hosting! With swim lessons, VBS, gymnastics, beach days, and picnics, I haven't had much time at home to sew. My link this week is how to pack a travel sewing kit so you can paper piece on the go! Thank you for featuring my HST quilt today! Wow this week's quilts are gorgeous! I don't get my projects completed very quickly but share them when I do. I love seeing what others have been working on. Thanks so much for hosting, Kelly!